Apple Pay may be gearing up to make your wallet obsolete, but that hasn't stopped MasterCard from paving the way for some interesting new technology of its own. The company announced plans to launch the first payment card with a built-in fingerprint sensor on Friday as part of a new partnership with Zwipe. The technology is actually pretty similar to Apple's own Touch ID, which stores your fingerprint data on the device itself instead of online. That should make for a more secure experience, as long as the biometric information is stored securely. 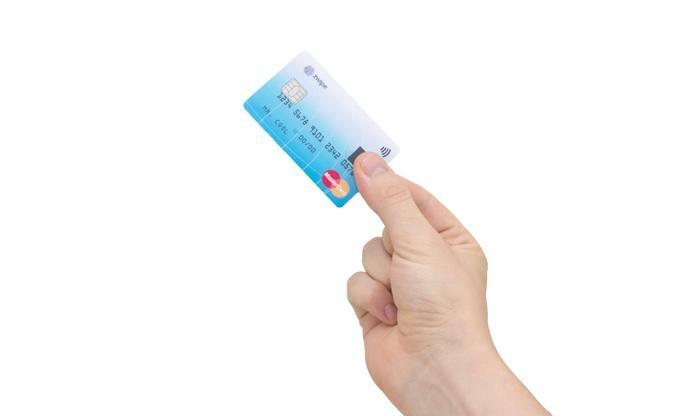 Once you've set up the card, you'll be able to confirm in-store payments by simply scanning your finger instead of entering a PIN code or signing your name. Zwipe said that the first card will launch in 2015 and will work with "all payment terminals," though it also features chip-and-pin, which is still rolling out in the U.S. and is more widely available in Europe. By next year, Apple Pay will be up and running, giving the Touch ID-based payment service a head start. Then again, not everyone owns an iPhone 6 or 6 Plus, so MasterCard could end up being the company to bring reliable fingerprint scanning to the masses. It all depends on how well Zwipes technology actually works compared to the high standard for biometrics Apple has already set.